If I have eaten at the Peninsula Restaurant prior to today, I don’t remember. We chose to stop here because one of our regular destinations The Marina Del Isle is currently a Cleats. All well and good but been there, done that, franchise. Instead we crossed the street to a place that reminded me of T.V.’s Mel’s Diner. The only thing that was missing was a loud “Kiss My Grits.” That and grits on the menu. We went with their “Famous” hot roast beef sandwich…I’m tellin ya this famous thing is starting to push me towards the abyss. 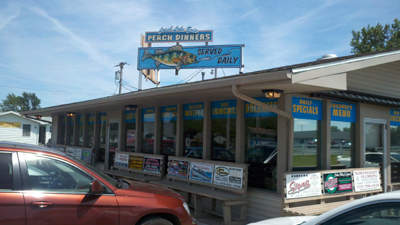 A cheeseburger and a perch dinner completed the order. 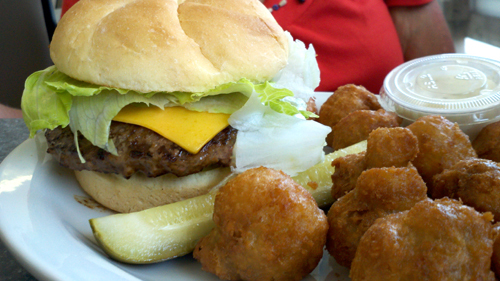 The mushrooms with the cheeseburger were pretty good but the cheeseburger itself is something I’m glad I didn’t try. My mom said it was fine but later admitted the only reason she choked it down was she was starving. Her eventual intestinal distress later forced her to admit it tasted wrong to start with. Mel would have done better. Way better! 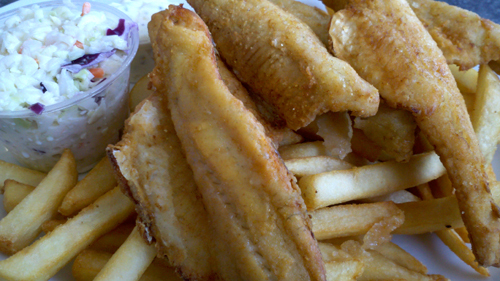 The perch in the perch dinner were fresh but were butter flied instead of filleted which would be fine if the bones were fried “out or soft” but that didn’t happen. There were distinct ribs finding their way between my teeth and a textural nightmare of a spine that would require the teeth of Jaws from James Bond flix to work through. 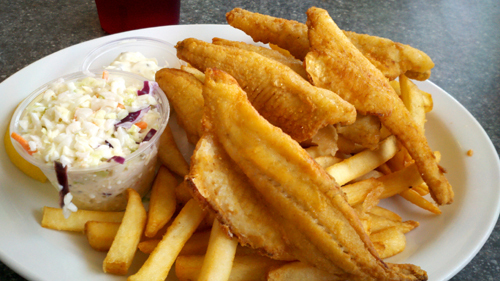 The fries were fine and the coleslaw was the only thing on the plate to meet, if not slightly exceed expectations with a mixture of sweet, peppery and tangy flavors. 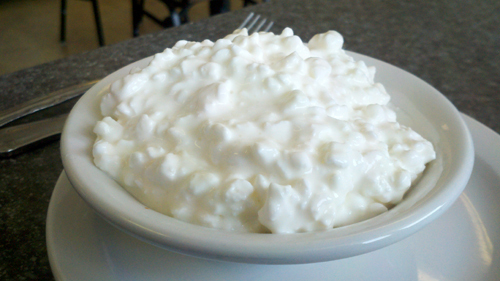 Of course, Steph did report that the cottage cheese was pretty darn good. No comment. 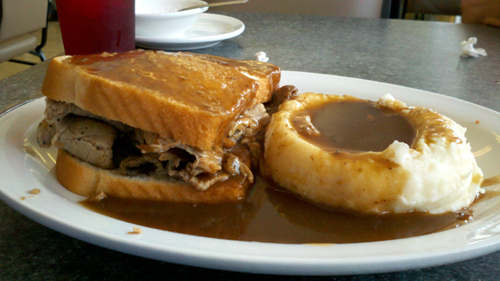 The famous roast beef was, as history has proven, devoid of sustenance for fame. Not particularly tender, beefy or scrumptious it was a mediocre option. I have yet to see anyone boasting about their famous but horribly average sandwich. The mashed potatoes were real with tiny lumps testifying to the fact but the gravy was crying out for salt, pepper and beefiness. I remain pleased that we avoided the franchise to try the local joint, but my taste buds would have a palatable argument in this case.